Have a whole basket full of Easter candy sitting around your house? Want to stretch out the holiday a little longer? 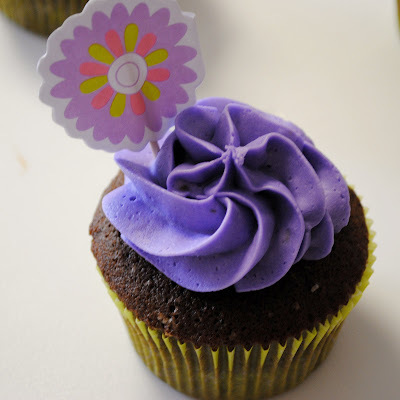 Gather up some Cadbury Cream Eggs and make these cupcakes. 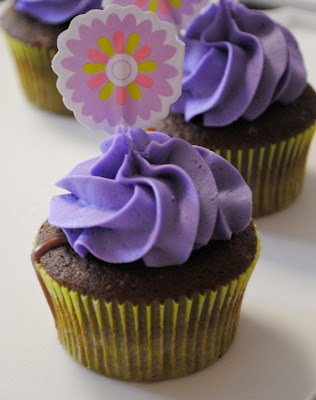 With a devil's food chocolate cake cupcake, chocolate ganache made with the Cadbury egg shells and buttercream frosting made with the creamy egg centers, these are a rich candy splurge. Preheat oven to 350 degrees and line 12 cup muffin pan with paper liners. Sift together flour, cocoa, baking soda, baking powder, and salt in a small bowl and set aside. Beat sugar and butter in a separate bowl until light and fluffy, about 3 minutes. Add the egg and beat about 1 more minute. Mix together milk and water in a measuring cup. Add 1/3 of the dry ingredients and beat on low until just incorporated, add 1/2 of the milk mixture and beat until incorporated. Repeat with remaining 1/3's of dry ingredients and remaining milk mix, scraping the sides of the bowl as necessary. Fill each cupcake liner about 2/3 of the way full and bake approximately 20 minutes. 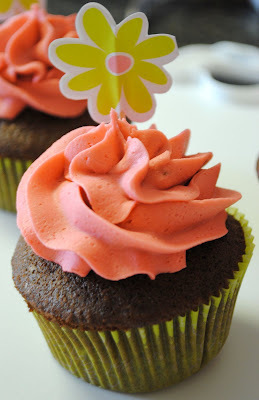 Cupcakes are done when a toothpick inserted in the center comes out clean. Heat cream over medium high heat until simmering. Pour over chocolate shells and let stand 5 minutes. Whisk until smooth and refrigerate, stirring occasionally until cooled and thickened. 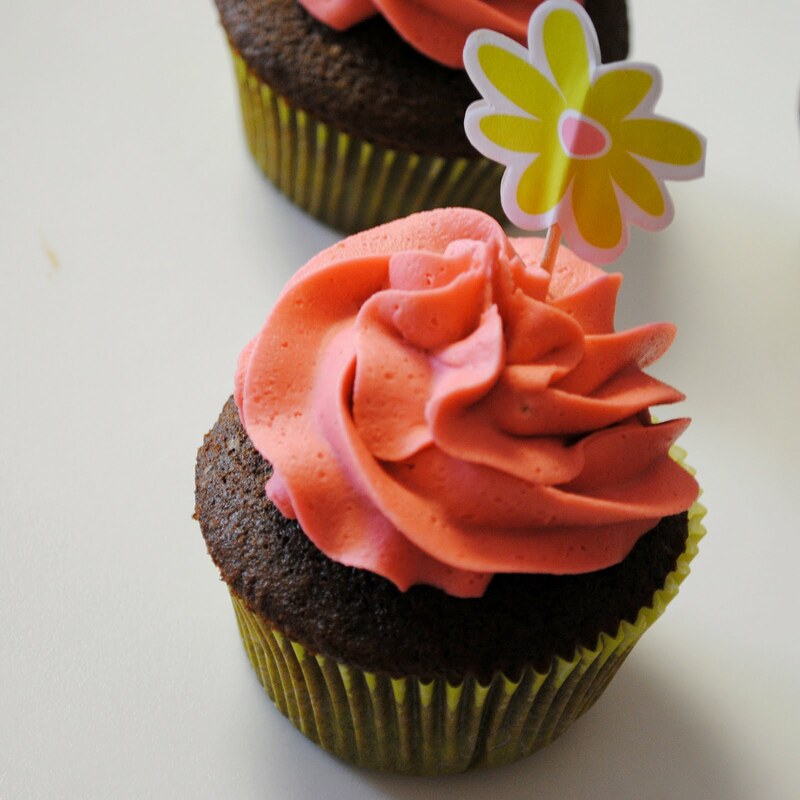 When cupcakes are completely cool, cut a cone shape in the top of each cupcake and remove cone. Pipe ganache into the center of each cupcake and refrigerate until ganache sets. Beat cream egg centers and butter about 3 minutes on medium high speed until smooth. Add vanilla and beat until incorporated. Add powdered sugar 1 cup at a time on low speed until thickened. Add milk if necessary to reach desired consistency. Tint frosting with food coloring if desired. If you use liquid food coloring instead of gel food coloring, adjust milk and powdered sugar as necessary. Pipe onto filled cupcakes as desired. What a great idea! 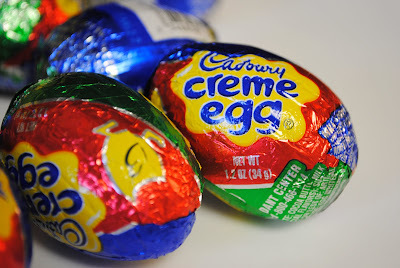 Who knew you could "up-cycle" easter candy? Your cup cakes are to die for. They look so good! 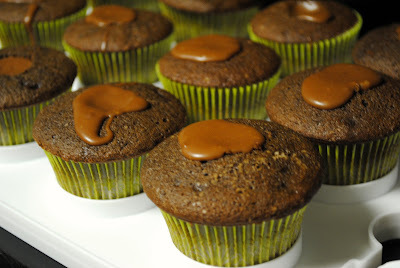 I tried these, and something went very wrong with the frosting... I wonder if I beat it too long, because it started to separate and melt :( Anyone have tips? @Miranda - I'm not sure since I've never had that problem but my first guess would be maybe your butter was too soft. Sorry you had issues.